Drying Ink: Article | The Magic of Susanna Clarke's "Jonathan Strange and Mr Norrell"
Article | The Magic of Susanna Clarke's "Jonathan Strange and Mr Norrell"
If you've been reading this blog for a while (or if you know me in real life, in which case, have my commiserations as well ;) ), you probably know of my love for magic systems. 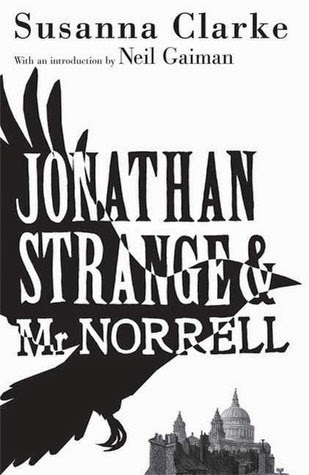 You might even know of my love for Susanna Clarke's wonderful Jonathan Strange and Mr Norrell (which made one of my very first posts on this blog, back in the darkness of the Deep Archive In Which I May Not Look For Fear Of My Old Writing). Well, that fated day has come. Today, I combine the two! Or, in less dramatic terms: I just finished rereading it, I'm full of excitement for the BBC adaptation, and talking about magic is always fun. "Sanderson’s First Law of Magics: An author’s ability to solve conflict with magic is DIRECTLY PROPORTIONAL to how well the reader understands said magic." "Can a magician kill a man by magic?" Lord Wellington asked Strange. Strange frowned. He seemed to dislike the question. "I suppose a magician might," he admitted, "but a gentleman never could." While much of the time, magic could be used to circumvent a problem, its use is often prohibited - often by its public perception. When Norrell brings magic into the Strange/Norrell schism, magically wiping the contents of Strange's newly published book, he meets with massive public disapproval. A great deal of the conflict in the book is character-based, personal rather than public, and centres about their relationship, and so the novel is able to be soft magic-dense without removing any sense of tension. IT'S JUST SO BEAUTIFULLY WRITTEN. It's fairytale magic attempted by academics - and when we really see the Aureates-style magic of the finale, it's wonderfully otherworldly. And honestly, I get goosebumps every time I read it.